Deputy Atty. Gen. Kevin R. Vienna was there to urge three judges on the U.S. 9th Circuit Court of Appeals to uphold murder convictions against Johnny Baca for two 1995 killings in Riverside County. Other courts had already determined that prosecutors had presented false evidence in Baca’s trial but upheld the verdicts anyway. Vienna had barely started his argument when the pummeling began. Judge Kim Wardlaw wanted to know why Riverside County prosecutors presented a murder-for-hire case against the killer but did not charge the man they said had arranged the killings. “It looks terrible,” said Judge William Fletcher. The January hearing in Pasadena, posted online under new 9th Circuit policies, provided a rare and critical examination of a murder case in which prosecutors presented false evidence but were never investigated or disciplined. The low-profile case probably would have gone unnoticed if not for the video, which attorneys emailed to other attorneys and debated on blogs. 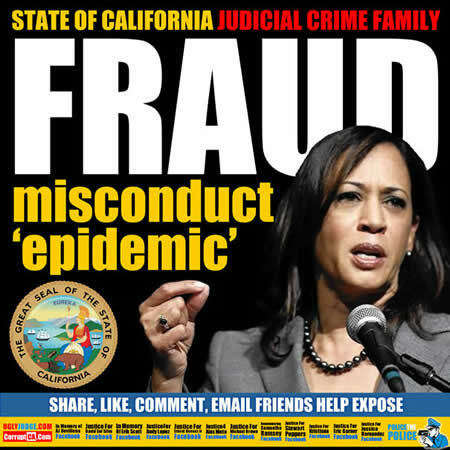 In a series of searing questions, the three judges expressed frustration and anger that California state judges were not cracking down on prosecutorial misconduct. By law, federal judges are supposed to defer to the decisions of state court judges. Prosecutors “got caught this time but they are going to keep doing it because they have state judges who are willing to look the other way,” Kozinski said. Santa Clara University law professor Gerald Uelmen said the judges’ questions and tone showed they had lost patience with California courts. State judges are supposed to refer errant lawyers, including prosecutors, to the state bar for discipline, but they rarely do, Uelmen said. A 2010 report by the Northern California Innocence Project cited 707 cases in which state courts found prosecutorial misconduct over 11 years. Only six of the prosecutors were disciplined, and the courts upheld 80% of the convictions in spite of the improprieties, the study found.